•	That unhealthy and unsustainably produced food poses a significant risk to the planet. We can’t ignore this. Not only is this to do with destruction of ecosystems and the stability of the earth but is also considering the burden of health problems due to unhealthy diets and malnutrition due to insufficient food. •	Transformation of unhealthy to healthy diets is necessary to slow this progression. When they say “healthy”, it means the type of foods we choose and also includes looking at food production and waste. Food production will need to aim to protect biodiversity and supplies and to reduce water consumption, land use, gas emissions and nitrogen, and phosphorus production. •	Food waste needs to be reduced considerably. •	A healthy diet is defined by the report as one consisting of a variety of plant-based foods, low amounts of animal source foods, unsaturated rather than saturated fats and small amounts of refined grains, processed foods, and added sugars. So, this means more fruit and vegetables, nuts and pulses/legumes. •	Global diets vary in the way they compare to the suggested healthy reference diet but in general, red meat consumption will need to reduce and nuts, fruit, vegetables and pulses/legumes will need to increase significantly. •	The reports suggest that changing diets to the healthy version could prevent 10-8-11.6 million deaths a year. There has been a lot of discussion about the report, some positive and some negative. The main criticism I have seen on social media so far is that we cannot impose a global diet when there are so many cultures with varying food and eating behaviour diversity. 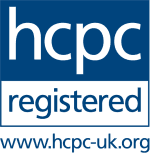 Some are questioning the suggested impact of the changes recommended and the “reference diet”. The suggested global diet, which is a reference diet rather than a prescription for health, is also somewhat unrealistic. The report also neglects to highlight transport and distribution of food or plastic packaging, which also has an impact. Generally, however, the response has been positive, and many are acknowledging that something needs to change to protect future food supply and the health of the planet. Overall, the change needed may be greater than you or me but there are things each of us can do to try to effect even a small change. So, do we need to aim for “one and a bit” eggs per week and 14g red meat per day? Not really. 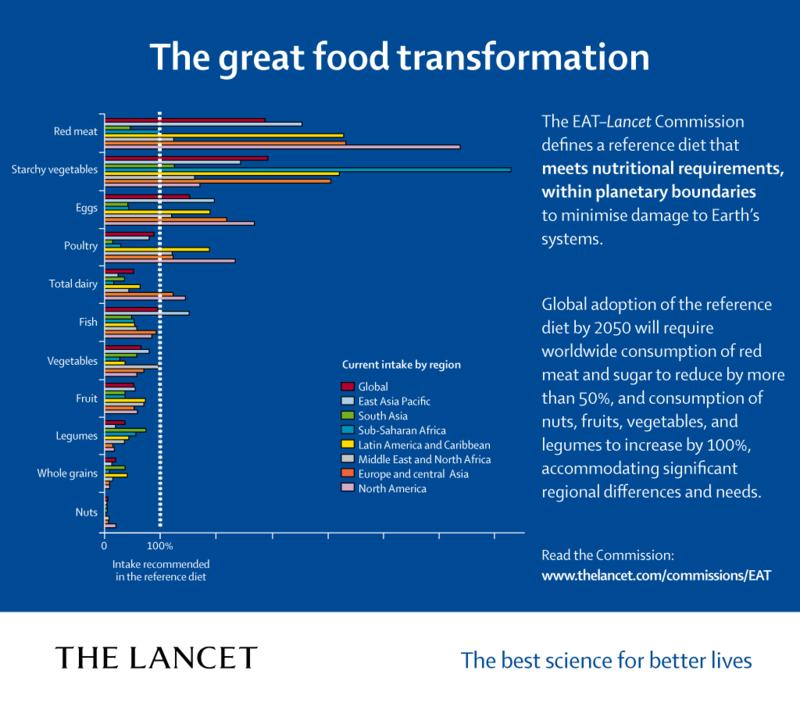 If you look at the graph attached to this post, you can see how each global region compares to the report’s suggested healthy reference diet. My takeaway is that if you want to do your bit for the future, you could just start with a few shifts. A little less red meat and dairy, fewer starchy vegetables and adding in a few plant based meals each week plus increasing fruit, vegetables, whole grains, and nuts could be something to start you off. Thinking about reducing food waste in our own homes is another way we can make an impact. I will be waiting to see how the report will be acted on between now and the target 2050. Hopefully, I will still be here.